The Trojans need a win against UCLA in order to become bowl eligible. Will they get it? The USC Trojans will head across town to the Rose Bowl to take on their crosstown rivals, the UCLA Bruins, this weekend. The game marks the 85th meeting between the two programs and carries a lot at stake. Both schools find themselves in peculiar positions, looking to finish their seasons on a strong note. The game also doubles as USC’s final Pac-12 matchup of the season. The Trojans currently sit at 5-5 after a loss last weekend to Cal at home. 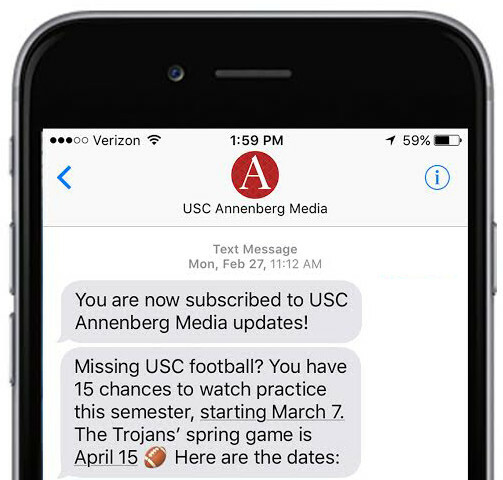 Since the Trojans’ marquee home win this year against No. 8 Washington State, the team has been unable to stay consistent. Following an early-season win against UNLV, the team lost back-to-back road contests to Stanford and Texas before firing off three straight wins. Since then, the Trojans have gone 1-3 with two games remaining. As for the Bruins, despite the hiring of Chip Kelly and the transfer of former Michigan quarterback, Wilton Speight, the Bruins have had a largely forgettable season. The team currently stands at 2-8 with wins against Cal and Arizona. The Bruins did not reach their first win until Week 6 of the season and have gone 1-3 since. The Bruins have been firmly out of contention in the Pac-12 South for quite some time and will look to keep the Trojans spiraling down. The Trojans, on the other hand, must win against UCLA if they want to become bowl eligible. The team has not reached the minimum 6 wins in order to qualify for a potential bowl game. A loss against UCLA will push the Trojans further away from their end season goal. USC will take on No. 3 ranked Notre Dame to close out their season, but a win against the undefeated Fighting Irish remains lofty at best. Beating the Bruins remains USC’s best shot at a post-season finale. To read more about potential bowl games click here. Last season, the Trojans squeaked past the Bruins, 28-23 to close out the regular season. 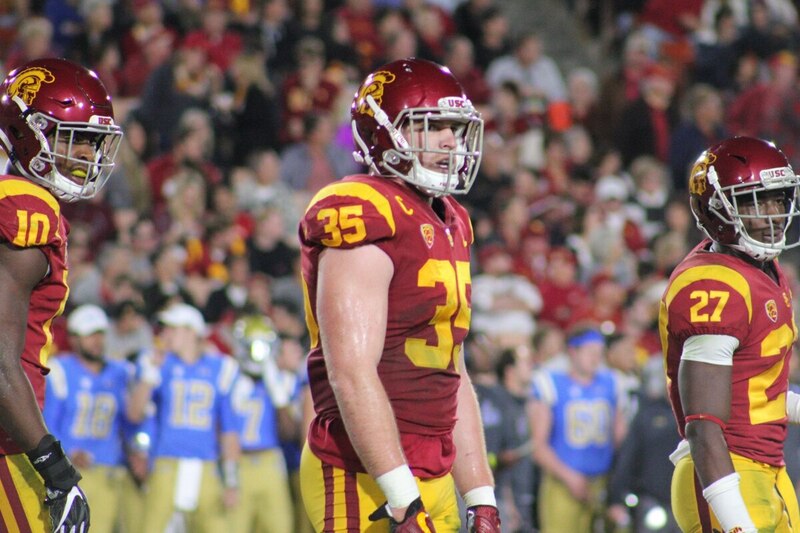 The game served as Sam Darnold's farewell to the Coliseum faithful. The Trojans would then go on to defeat the Stanford Cardinal in the Pac-12 Championship before falling to Ohio State in the Cotton Bowl Classic. Presently, USC has a three-game win streak dating back to 2015 against the Bruins. The longest consecutive win streak by USC is five from 1999-2003. The Trojans have 47 wins to UCLA's 31 with seven ties in between. The largest margin of victory was by USC in 1929, when the Trojans won 76-0. There have been four instances in which either team won by just one point (1967, 1981, 1982, 1992). In 2000, the annual matchup between crosstown rivals was dubbed "The Toilet Bowl." USC (5-6) defeated UCLA (6-5) at the Rose Bowl. The following week, USC lost to Notre Dame and head coach Paul Hackett was fired. The man to replace him? Pete Carroll. Carroll would lead USC to multiple winning seasons and a few national championships along the way. There are a few parallels between 2000’s game and this year’s matchup. USC has a similar record and remaining schedule as they did in 2000. More so, coach Clay Helton has fielded numerous concerns about his job security. Is it the worst matchup? No. This feature by the L.A. Times recounts some of the stinkers in a largely exciting rivalry. USC will receive a boost with the return of wide receiver Michael Pittman. The receiver, who had a torrid October, sat out last week with a shoulder injury. Pittman will look to pick up where he left off when he was injured against Oregon State. Michael Pittman. : In the month of October, Michael Pittman had 352 yards on 16 receptions to go along with five touchdowns. Pittman will look to pick up where he left off against the Bruins. UCLA is currently allowing opposing pass offenses to an average of 226 yards per game with a near 13-yard per completion mark. Pittman’s ability to make big plays and haul in long passes will be integral for the Trojans’ offense. Guard Caleb Wilson: Caleb Wilson, UCLA’s redshirt junior tight end, has also experienced some great games throughout the season. Last weekend against Arizona State, Wilson hauled in 11 receptions for 164-yards and two touchdowns. The weekend before against Oregon, Wilson tallied 75-yards on just two receptions to go along with one touchdown. His ability to gain massive yardage will be something the Trojans will need to watch out for. USC is currently allowing an average of 10.59 yards per completion to go along with 200 yards per game. Play loose: It may appear like there is a lot on the line in this game. Bragging rights, the Victory Bell, a potential bowl game and maybe even a job or two. And there is. But, if USC expects to come out on top, they will need to play a good game of balanced football. This will require some poise and a lot of patience. Currently, USC stands a 3-point favorite according to Vegas sportsbooks. The Trojans are expected to hold off the Bruins by at least a field goal. While last week's matchup against Cal was wholly inconsistent and at times infuriating, expect the Trojans to come out aggressive. The 2018 program features several seniors such as linebacker Cameron Smith, running back Aca'Cedric Ware and cornerback Iman Marshall. For them, these two games represent their last go-around as Trojans. They will no doubt want to finish the season and their USC careers on a positive note. Expect a gritty game from both teams with USC coming out on top.